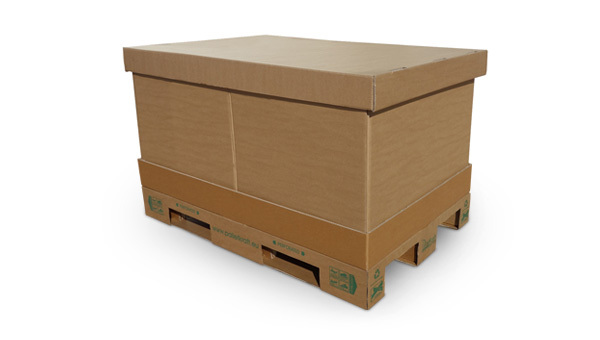 A Palletkraft corrugated pallets offers a superior packaging and shipping alternative to wooden, composite and plastic pallets. 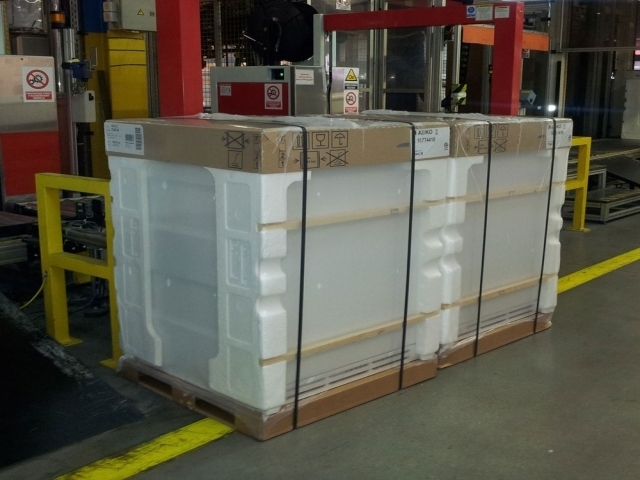 Our pallet combines the cost-savings of an ultra-light weight pallet with the strength and durability of a traditional solution. 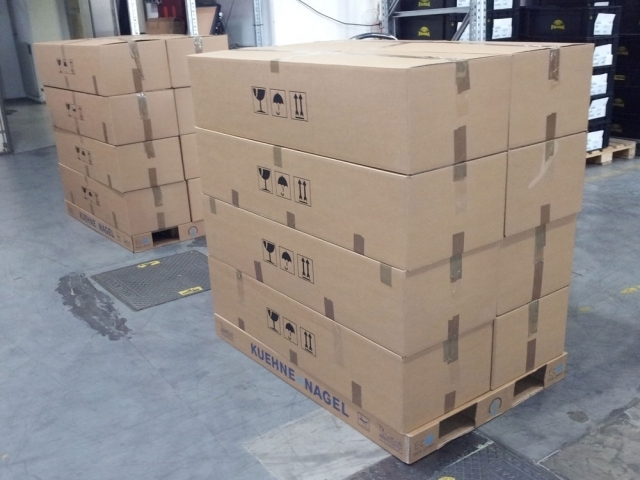 Mass production process allow us to deliver in quantities to meet even the most demanding packaging and shipping needs. 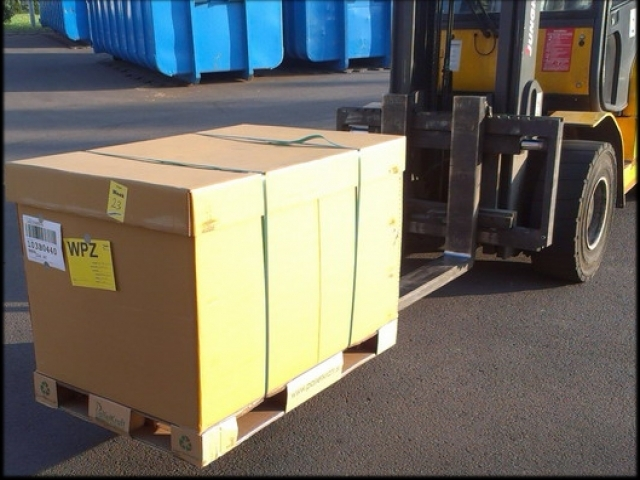 Best of all, you can switch to PalletKraft pallets without making any changes to your internal processes and equipment. 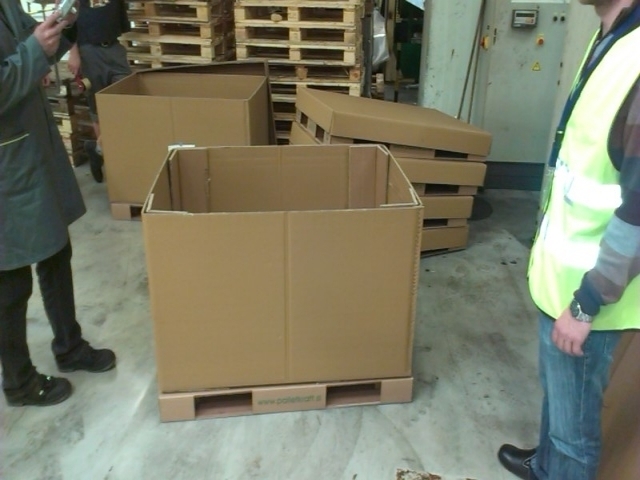 According to NEFAB engineering centre from Netherlands test report Nr.330916 R1.0 for Palletkraft cardboard pallets show an excellent test results for two types of pallets which were tested: a 2 way and a 4 way pallet. 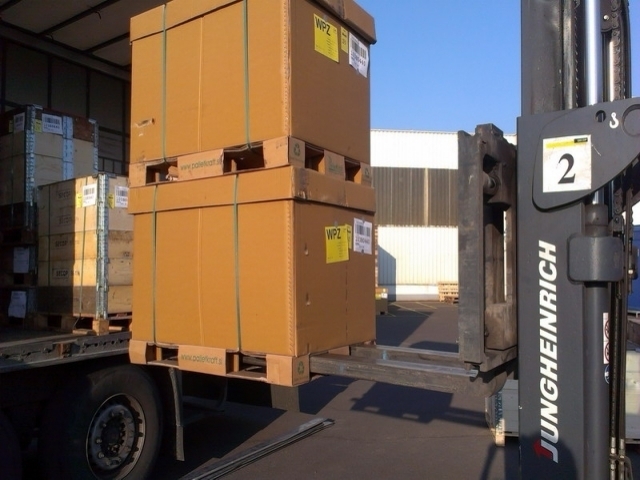 Test type was transport simulation test ISTA 3 E for unitized loads. 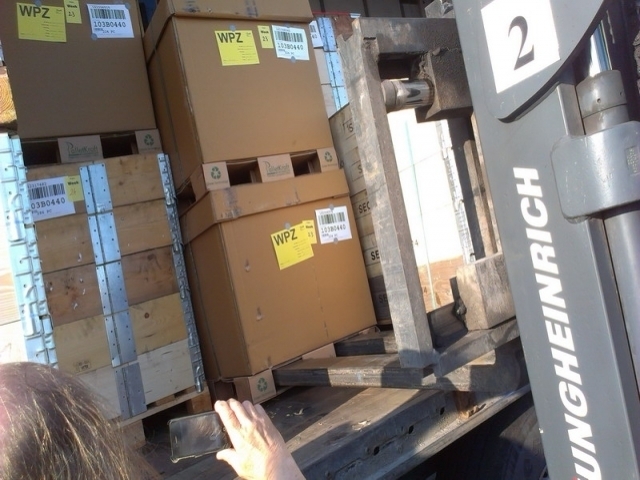 Unique solutions - "New to world products"
X-pallet has a different, more robust design. 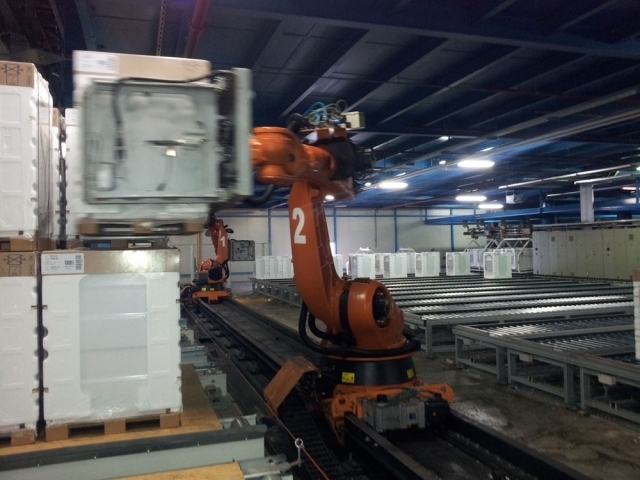 Integrated reinforcement frame made of 5 or 7 layer corrugated board forms strong top surface and higher dynamic and static capacity. 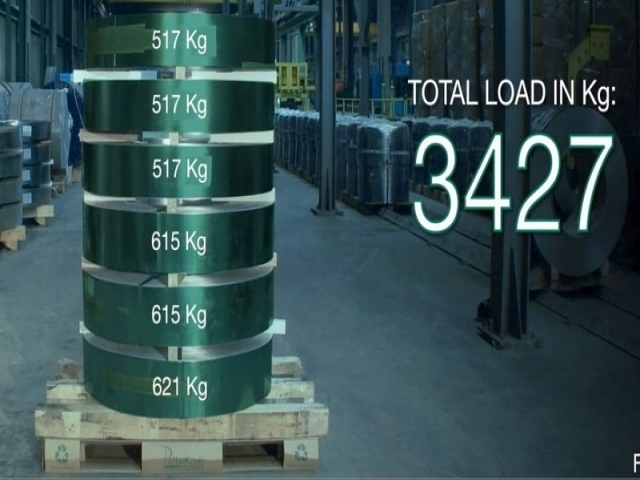 Pallet can carry all kind of heavier loads up to 1.600kg (dynamic) and can be also used on open racks and on roll conveyors. 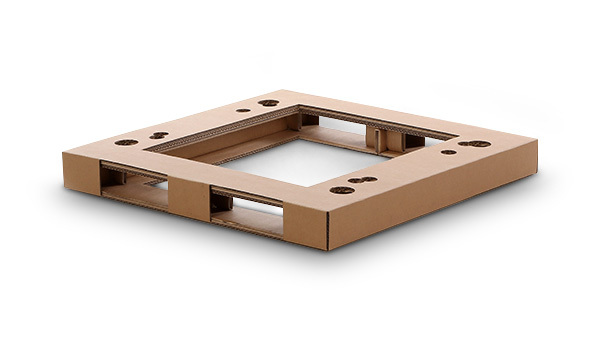 M-pallets are very light and slim (8 to 11 cm high). 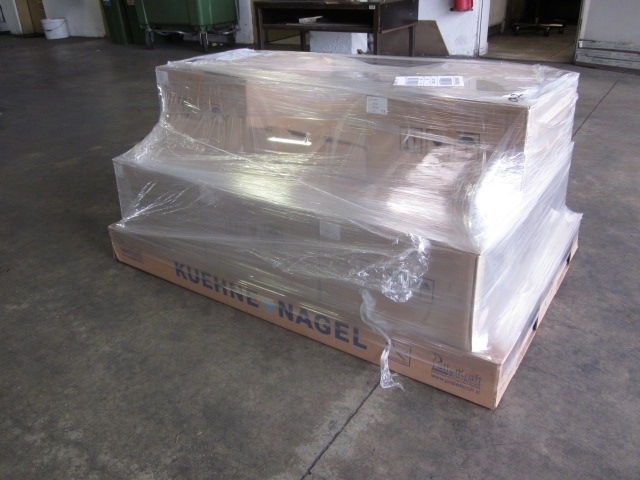 Pallet has a closed bottom side with openings for the Pallet Jacks wheels. 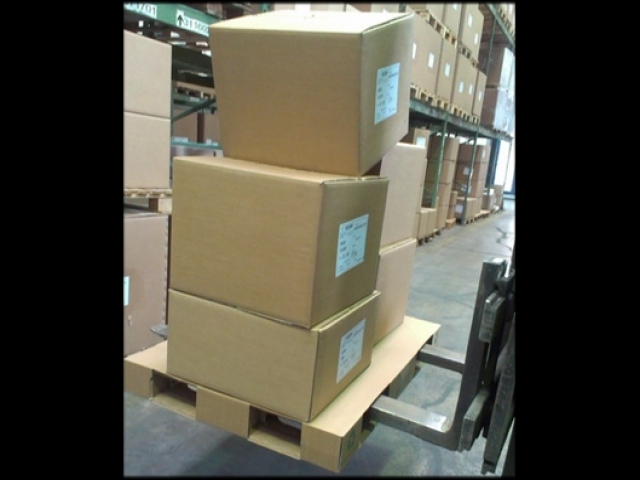 Pallet purpose is to carry lighter loads, where the volume on the pallet is needed or for the heavier evenly distributed loads. 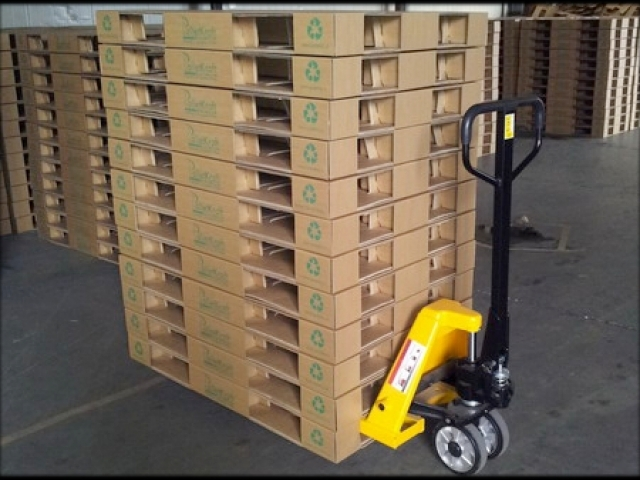 Palletkraft M-pallet weigh between just 3-4 kg which is up to 85% less than standard wooden pallets. 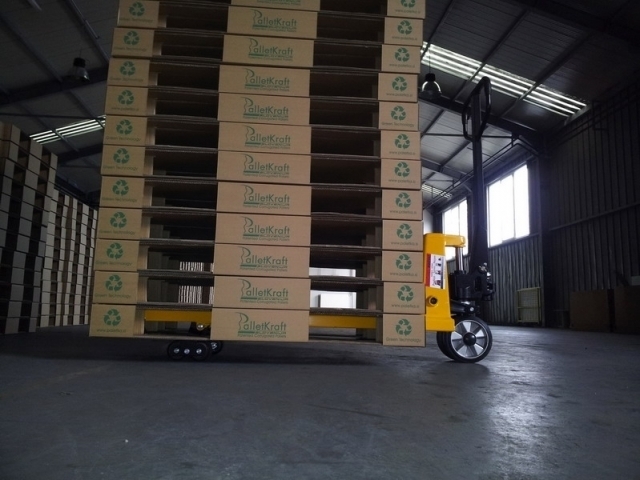 Palletkraft M-pallets are up to 37% height reduced over standard wooden or plastic pallet. 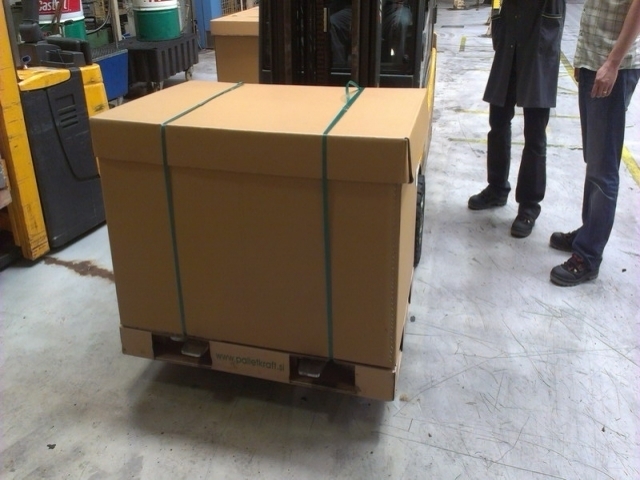 Palletkraft Military boxes have up to 5% bigger volumetric capacity than standard pallets with boxes. 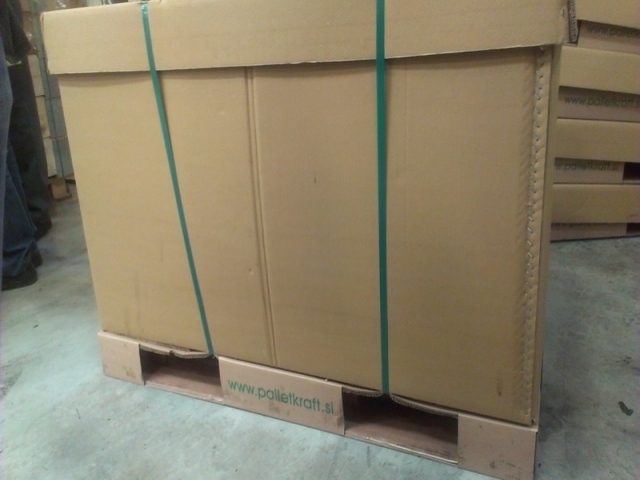 Palletkraft Military boxes are up to 60% lighter than standard pallets with boxes. 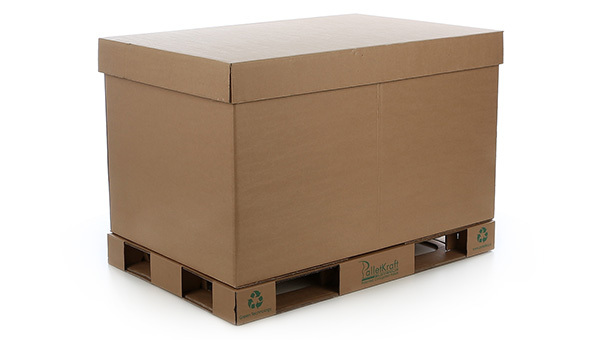 Palletkraft Eco boxes have up to 5% bigger volumetric capacity than standard pallets with boxes. 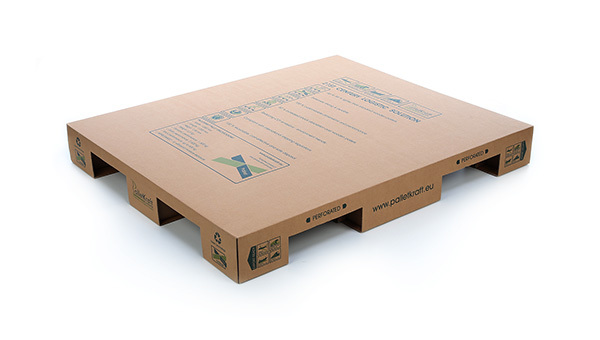 Palletkraft Eco boxes are up to 65% lighter than standard pallets with boxes. 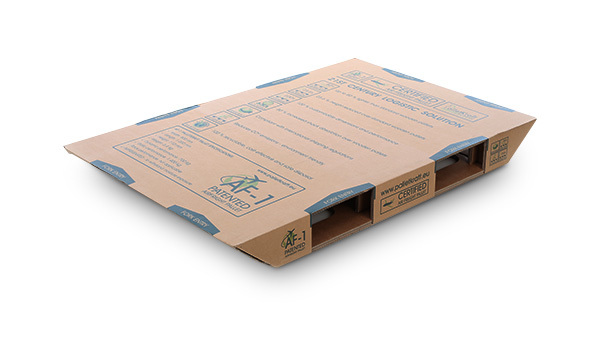 Made of corrugated board from sustainable soft wood forests and recycled paper, PK pallets offer an end to hardwood forest depletion from wood pallets. 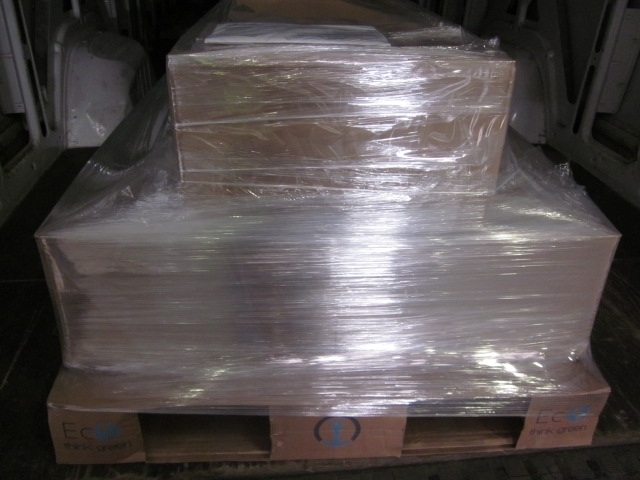 Used PK pallets can be compacted with other corrugated packaging materials and sold to local recyclers. 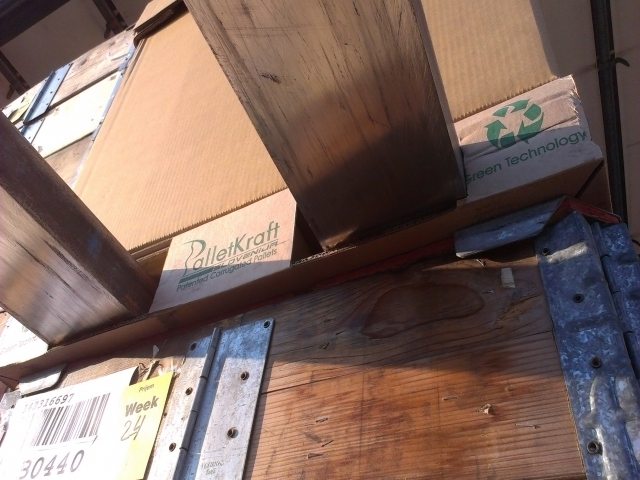 PK pallets are workplace and store floor safe – no nails, broken slats, jagged edges, splinters or aching backs. 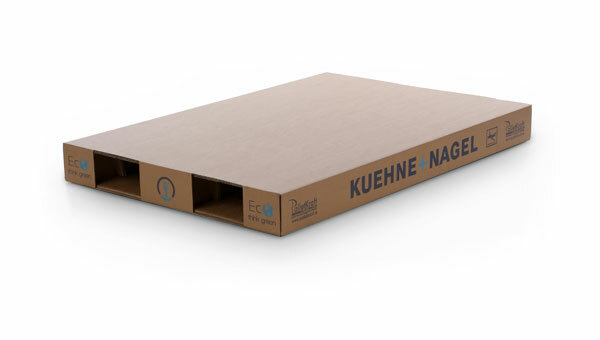 The fully recyclable PK pallet (100% recyclable) eliminates the major consumption of valuable landfill capacity caused by wood pallet disposal. 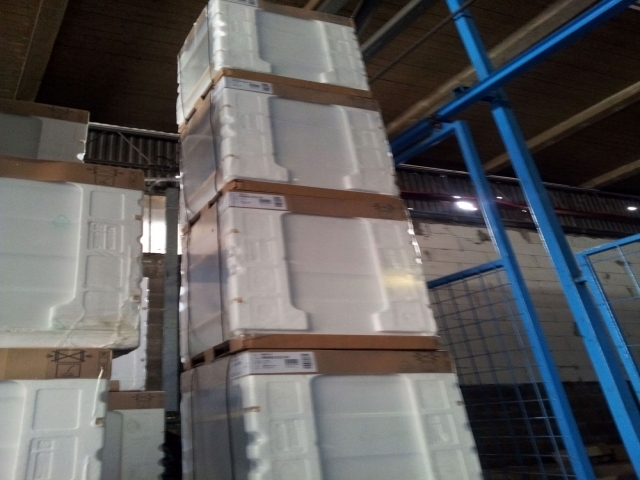 Totally free of pest infestation, PK pallets avoid the threat to forests from that source as well as the health issues (and costs) due to chemical treatments to rid wood pallets of such pests. 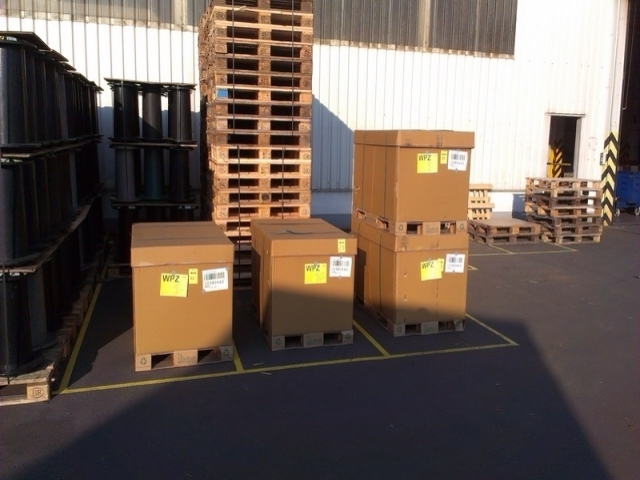 Palletkraft Pallet are EXPORT READY so they require no additional fumigation or heat treatment. 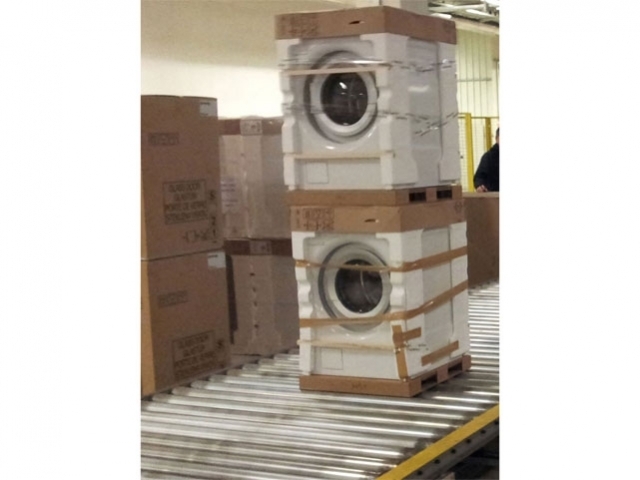 That saves you time and money.